New Zealand was discovered many times by many different people. Although Maui fished up the North and South Islands, it was the great Polynesian navigator Kupe who discovered them. Kupe lived in Hawaiiki, mythical ancestral homeland of the Maori. In Hawaiiki lived a canoe maker by the name of Toto. Patiki: (From Pare Hauraki) Represents the Flounder and is a symbol of hospitality. 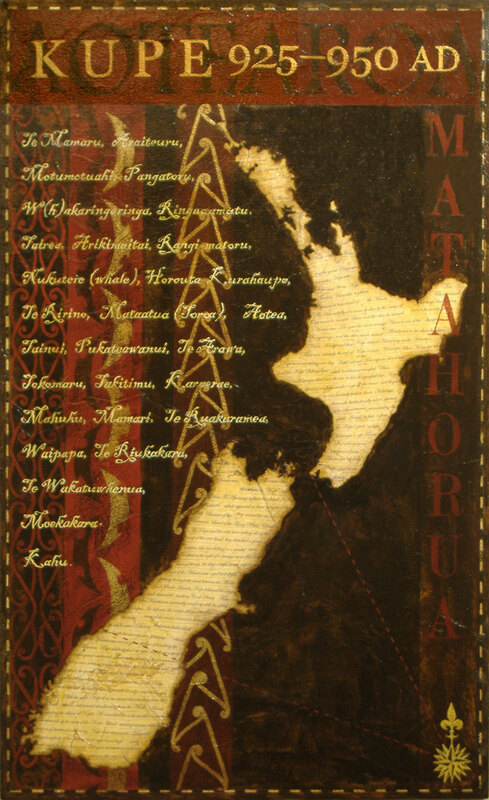 Puhoro: (From Te Arawa) Represents speed, swiftness & agility. Kaperua: (From the Tai Rawhiti) Represents things being doubled.